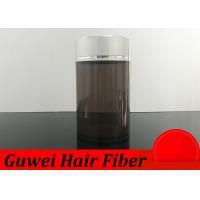 Hair fibers are made with the most advanced technology , which allows the hair to return to the skin in an instant. Like natural perfect , so that you Young-style elegance times past, always confident , from the " head " put pregnant good people Health . 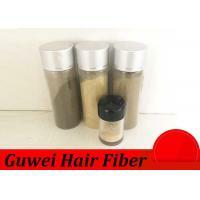 Hair fiber is not a spray or cream, nor as a wig only cover the hair, not to stimulate the hair germinal products , but a breakthrough invention of the fiber , containing organic hair similar to the sense of organic keratin , such as real hair. When used , just sparse in the hair spilled with the site " hair fibers " additional hair lightly combed , 30 seconds to complete the entire change" Hair " process . 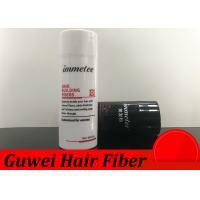 Hair fibers in a sprinkling of a comb after the static effect , quickly wrapped around the hair, imitation of the re – grow Hair , so that the hair becomes thick and thick, the overall feeling of natural flawless , even if the near look is not easy to find the subtle effect ,You are assured . 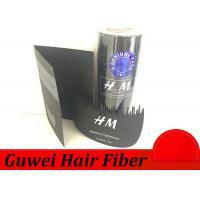 Hair fibers, once used , are not easily dislodged by light touching , hair combing or even wind blowing . So sweat will not be affected, but simply wash with shampoo can be thoroughly . If the clothing stained with fiber, as long as gently hand a wave can be removed , not all dirty shirt collar pants, so you can be carefree to sway charm . What it can do for us ? 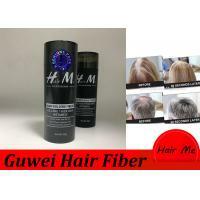 Hair Me NY Hair Technology Research Center have also developed a series of related products, which specially serve and match with new hair building fiber powder in better use. 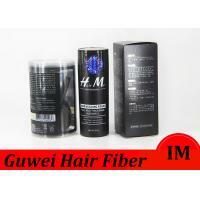 For all Hair Me NY related products ,we can offer OEM service and Hair Me NY brand in stock available. 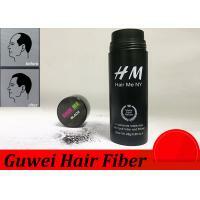 1. hairline optimizer - to help cover foretop more easily to avoid falling onto face, skin and clothes . 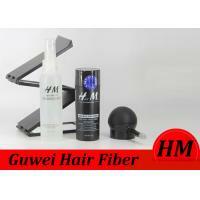 2. hair spray applicator - to help spray new hair building fiber more precisely and more evenly . 4. 360-Mirror - to help people to see their heads clearly from all direction . 5. Display boxes - To show custumers in sets and Neat. 6. Hair argan oil - effectly help recover dry and damaged hair , Add nutrition to the hair . 7 . 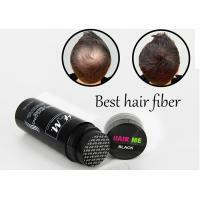 Hair color pen - Meet the demand of instantly color hair , once time color hair . 1 . Dry and style hair as usual . 2 . 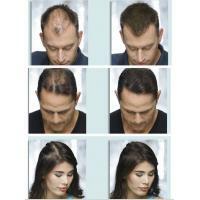 Shake or spray ( with Hair Me NY Spray Applicator ) Hair Fibers into thinning areas . 3 . 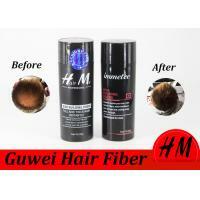 If applying Hair Fibers near the hairline , use Hair Me NYHairline Optimizer to achieve a natural - looking front hairline . 4 . 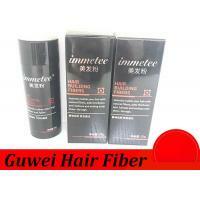 Gently pat hair to disperse Hair Fibers . 5 . If desired , lightly comb , brush , or style your hair after applying Hair Fibers . 6 . 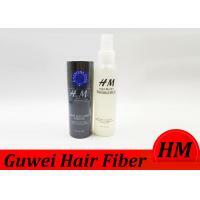 For best results , use Hair Me NY Fiber Hold Spray to finish for longer - lasting results . 1 . Unscrew Hair Fibers cap . 2 . Twist and pull off sifter . 3 . Screw the Spray Applicator onto the bottle . 4 . Press down on the pump . 5 . Applying more or less pressure controls the amount of Hair Fibers dispensed . 1 . Insert the teeth of the Hairline Optimizer into your hairline . 2 . 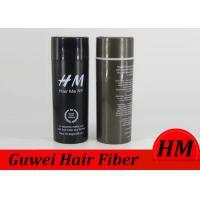 Shake or spray ( with Hair Me NY Spray Applicator ) Hair Fibers around hairline . 3 . 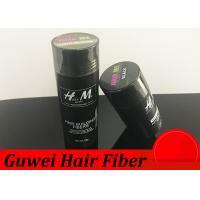 If desired , gently pat hair to disperse Hair Fibers . 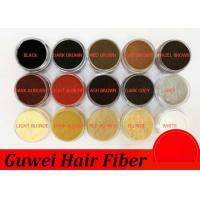 Why Choose Guwei hair building fiber? 2 . High Quality ≠ High price , Highest standard quality , but the very best price you can find !